If you’re a millennial of a certain age, and have taste with a certain amount of bare minimum, you will never forget your disgust as Shrek beat out Monsters Inc. for the first Academy Award for Best Animated Feature. If you are a millennial who is basic as hell and proud of it, then I have some good news. And if you’re just someone who likes disgusting memes or Heidi Klum’s Halloween costume, then I have some… dank news. 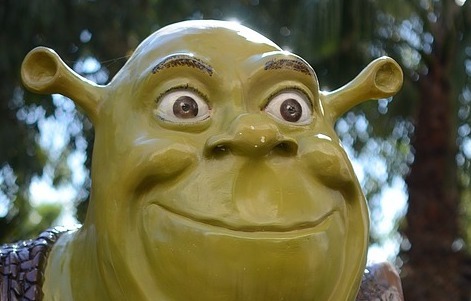 Shrek, that 2001 CGI Dreamworks monstrosity that spawned three sequels, one spin off, a million normie memes and a career for Mike Meyers long after it seemed like he still wanted one, is being rebooted. At the helm, the new king to the obnoxious normie CGi movie throne, Despicable Me producer Chris Meledandri. Chris’s plan is direct — he wants to produce more stories in the Shrek universe and bring back the original voice cast which, unless anyone else is being added — Mike Meyers as Shrek, Eddie Murphy as Donkey, Cameron Diaz as Fiona and Antonio Banderas as Puss in Boots. Maybe John Leguizamo as Lord Farquaad depending on how whole this reboot is. So. Folks. I guess if you wanted more Shrek for some reason. My friends. The wait? She is ogre. What do you think of a Shrek reboot? Let us know in the comments or on Twitter at @WhatsTrending.